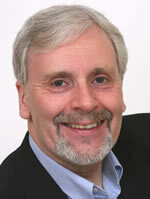 Stephen Booth is a former newspaper journalist. Born in Lancashire, he was educated at Arnold School and Birmingham City University before beginning a career in journalism which lasted 27 years. 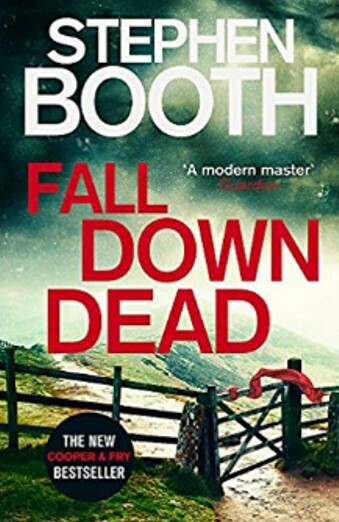 He is the author of a series of crime thrillers featuring two young Derbyshire police detectives, DI Ben Cooper and DS Diane Fry, all set in England's Peak District. The books have won awards on both sides of the Atlantic, and are translated into 16 languages. Stephen has been shortlisted for the Crime Writers' Association Gold Dagger award for best crime novel, and has twice been a finalist for the Theakston's Crime Novel of the Year Award. In 2003, the CWA presented him with the Dagger in the Library Award for "the author whose books have given readers most pleasure." In the USA, Stephen has won two Barry awards for Best British Crime Novel, and was nominated for an Anthony Award for best first mystery. DC Cooper has also been a finalist for the Sherlock Award for the best detective created by a British author. When a party of walkers have to be rescued from the treacherous, mist-shrouded moorlands of the Peak District’s highest mountain, one of their members is discovered to be missing. A search finds her body lying at the foot of a rock known as Dead Woman’s Drop. But how did she become separated from the rest of her party, and was she alone when she died? In an effort to uncover the truth behind the events of that day, Detective Inspector Ben Cooper and his team travel to the Derbyshire village of Hayfield to explore the complex and troubled relationships between members of the walking group. But Cooper’s inquiries are interrupted when he’s summoned to give evidence in an investigation by Derbyshire Constabulary’s Professional Standards Department. Serious allegations have been made against his former colleague Detective Sergeant Diane Fry, and incidents from her past are about to be raked up and put under the microscope. It seems that DS Fry could be about to lose or job. But is she guilty of the allegations, or is someone trying to frame her? In both cases, the question for Ben Cooper is the same – did she fall, or was she pushed? It’s hard to prove a murder without a body. Ten years ago, Reece Bower was cleared of killing his wife, a crime he always denied despite the circumstantial evidence against him. Extensive searches by police near his home in the Peak District town of Bakewell found no trace of Annette Bower’s remains. And when two witnesses came forward to say they’d seen her alive and well days after she was supposed to have died, the case against her husband collapsed. But memories of the original case have been brought back for Detective Inspector Ben Cooper of Derbyshire Constabulary. Because Reece Bower himself has disappeared, and his new wife wants answers. Cooper has always had his own theories about Bower’s guilt. But where is Bower now? As a new search moves into the caves and abandoned mine workings in the isolated depths of Lathkilldale, the big question is who might have come back to revenge the death of Annette Bower ten years later? A shake-up of police structure in Derbyshire has left Cooper without the guidance from his old boss, Detective Superintendent Branagh. Can he call on assistance from the East Midlands Major Crime Unit and DS Diane Fry? Only if he can establish there’s been a murder. And without even one of the bodies, that’s just become more difficult to prove. It’s a beautiful place to die . . . But what are the mysterious Secrets of Death? And is there one victim whose fate wasn't suicide at all? For residents in the hamlet of Shawhead, there's only one way in and one way out. And some of them may never go out at all. Detective Inspector Ben Cooper is on the scene with his team from Derbyshire E Division. But the one person who may hold the answers to the mystery is found hanging from a walkway high over the river in the nearby town of New Mills.